This custom flipper knife from Butch Ball features a smooth-gliding flipper blade made from Alabama Damascus steel with light jimping on the thumb ramp. 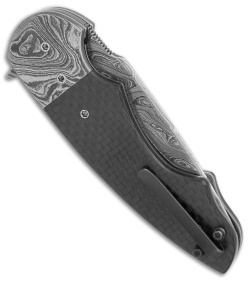 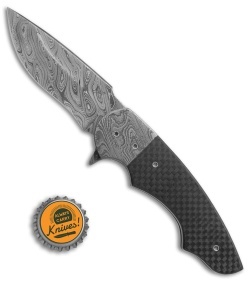 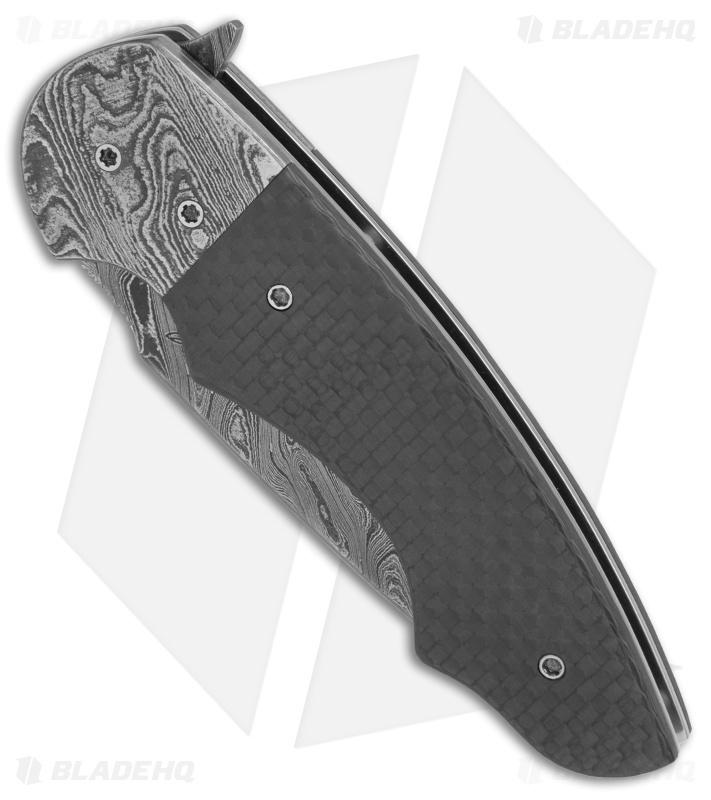 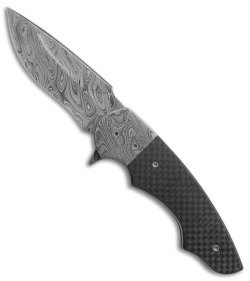 Its handle sports carbon fiber scales and a Damascus bolster over durable titanium liners. Comes fitted with a slim deep carry clip for secure pocket carry.